Black Friday is here and it’s time to shop for toys to put under the Christmas tree. If the tree is growing in your backyard, a kiddie ride would fit just fine though you’d better check zoning regulations. Generations of kids have grown up riding this little Ferris Wheel at McCullough’s Kiddie Park on the Bowery at West 12th Street in Coney Island, but now it’s for sale. As previously reported by ATZ, the family-owned park closed in September after fifty years when the owners weren’t able to come to a lease agreement with property owner Thor Equities. The park’s rides are being offered for sale by usedrides.com. 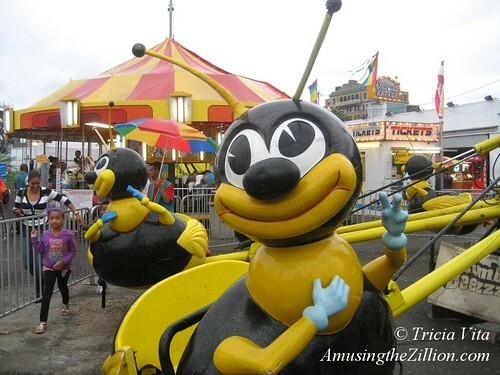 The Wheel is ten grand and the much-photographed Bumblebees are $42,000. 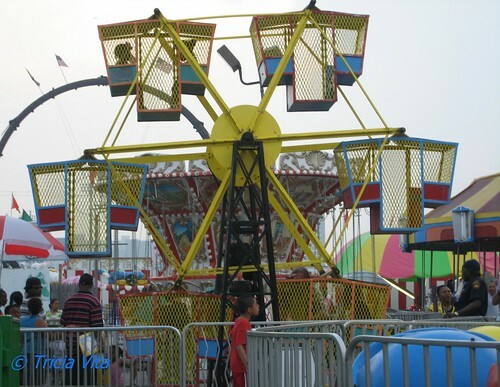 Among the other rides are a Mini-Himalaya ($17,000), Alan Herschell Carousel ($50,000) and Zamperla Rockin’ Tug ($42,000). The rides were moved to the broker’s lot in Greer, South Carolina. Although McCullough’s Kiddie Park has operated on 12th Street since the 1960s, the family’s history in Coney Island goes back much further. Four generations of McCulloughs have owned and operated amusement rides here. They are related to the Tilyou family of Steeplechase Park as well as to the Stubbmann family, whose Coney Island carousel became part of the one in Flushing Meadows. The McCulloughs are also the former owners of the B&B Carousell, which will reopen in Coney Island’s new Steeplechase Plaza next year. It’s sad that McCullough’s is closing and that Coney is losing another indie operator. They will be missed and so will their bees. But Coney Island isn’t losing all of its kiddie rides: Deno’s Kiddie Park on the Boardwalk has 17 rides for children, including the beloved Mangels Pony Cart and Fire Engine, and will reopen in the spring. It’s tiny compared to this backyard roller coaster built by a dad in Ohio!